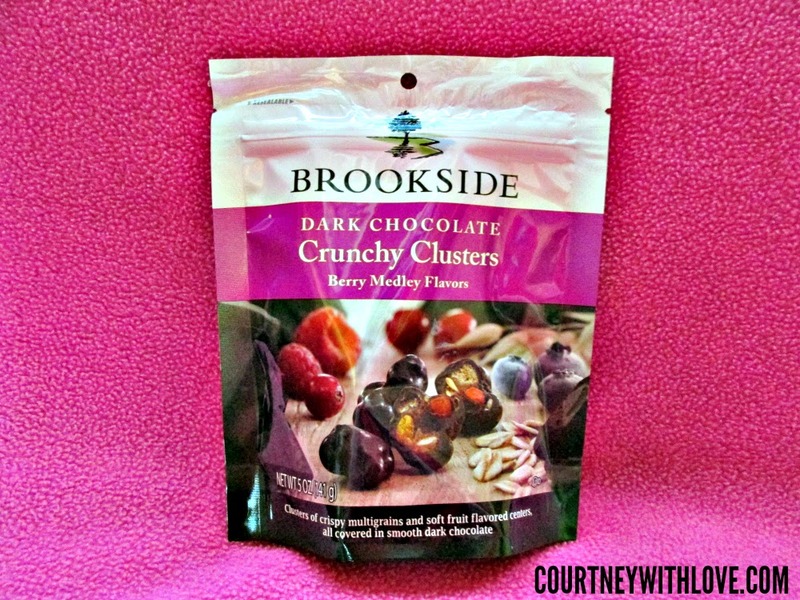 I recently had the chance to try out the Brookside Dark Chocolate Cruncy Clusters complimentary thanks to Crowdtap. Prior to getting these, I had only seen glimpses of them in the store, but never paid much attention to them. With the new year here, naturally I am trying to eat better, and healthier. However I have a MASSIVE sweet tooth. I thought that trying something like these might be perfect for me. I can get my chocolate craving in, and also have a bit of fruit mixed in so I don't feel as guilty. The size of the bag is fairly decent. The clusters inside are bite sized and smaller. Some big clusters, some very tiny. 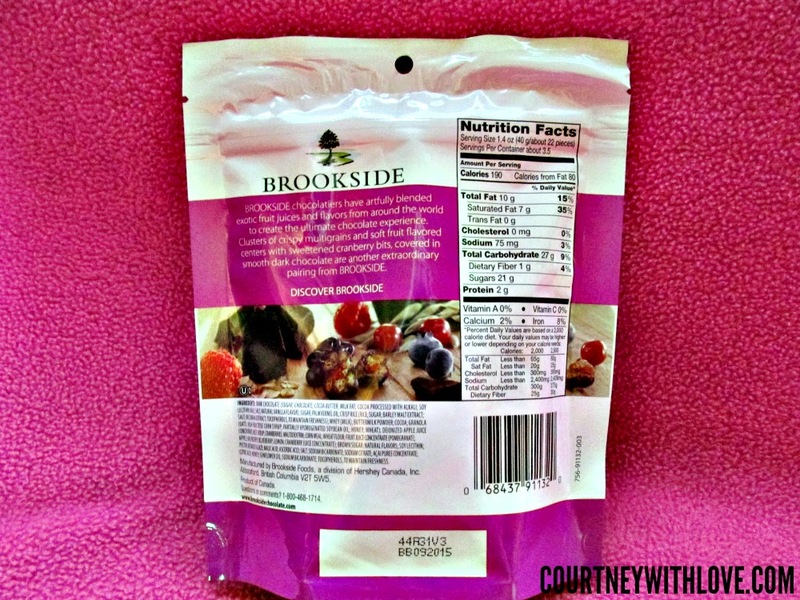 The flavor that I tried is the Crunchy Clusters Berry Medley Flavor. I ate these just by themselves upon first sampling. 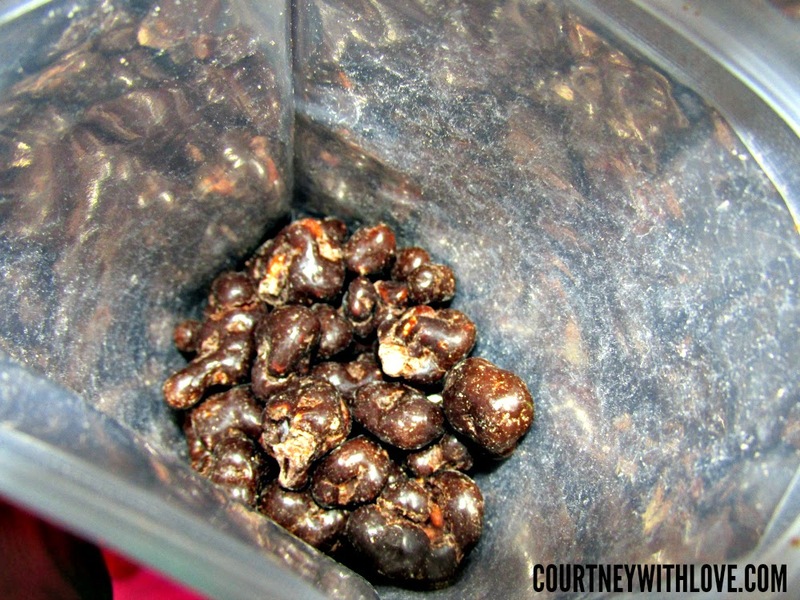 The chocolate is delicious, and the crunchy clusters were amazing! Very bold fruity flavors, with the nice complimenting flavor of dark chocolate. It was heaven! The best part is I didn't feel like I was wrecking my diet. I also added these to my yogurt, which tasted outstanding! I shared some with family members, and they really liked them as well. I know for a fact that my family members went out and purchased a bag for themselves! 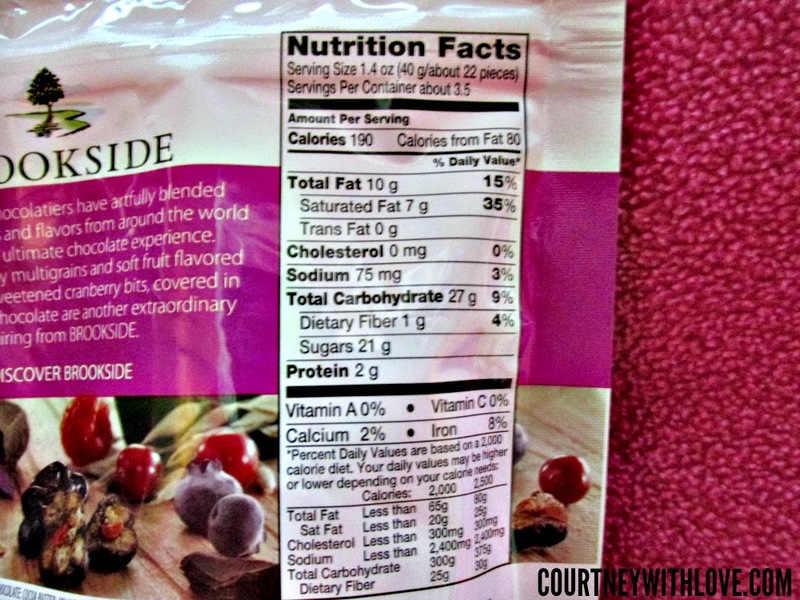 Overall these are really tasty, and something that I will be turning to when I need my chocolate fix!